Maternity Leave – Keeping In Touch Or Cut Off? Is Your Family Business Running The Risk Of Illegal Software? Keeping family firms informed of the latest news and developments when it comes to regulation, from employment to taxation and more besides. 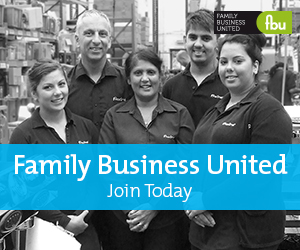 Submit a Regulation article to get the most out of Family Business United, register your news with us now and benefit from the FBU community. Are You Wasting Time & Money Preparing for GDPR?